The Learning Center is bustling and the students are engaged in a variety of learning activities. The energy is coming from the combined efforts of Angela, Markki, and Marguerite. Markki and Marguerite are volunteers who are providing a tremendous service to the Learning Center. If possible, I will provide more detailed information next week on these two outstanding teachers serving in Copey. The students have been busy developing their version of “travel brochures” which helps to develop knowledge and awareness of different parts of the world. 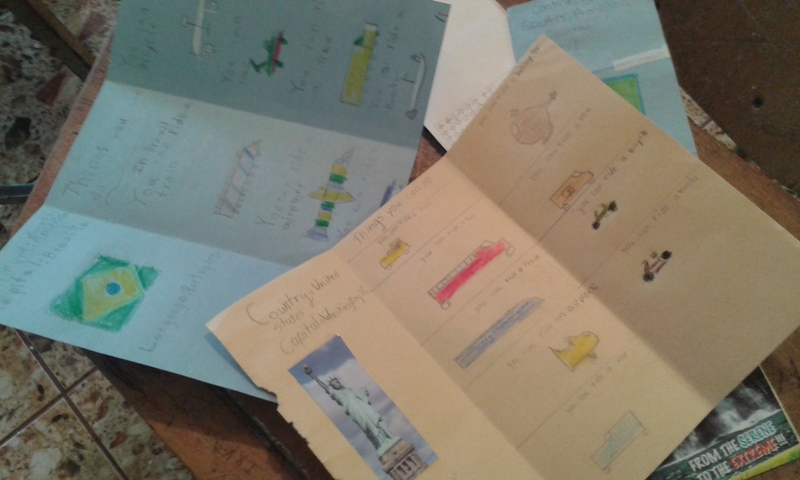 While identifying popular locations and landmarks such as the Statue of Liberty, the brochures helps the students develop their vocabulary about transportation. This activity turned out to be a big hit with second and third grade students. This has been an unusual year of mourning over the loss of many dear friends who have been part of my life for many years. Last Friday, Ms. Lawrence, my first grade teacher passed away. She joins three prior students who have also passed away this year. Ms. Evelyn Lawrence was the first grade teacher for two of these students as well. 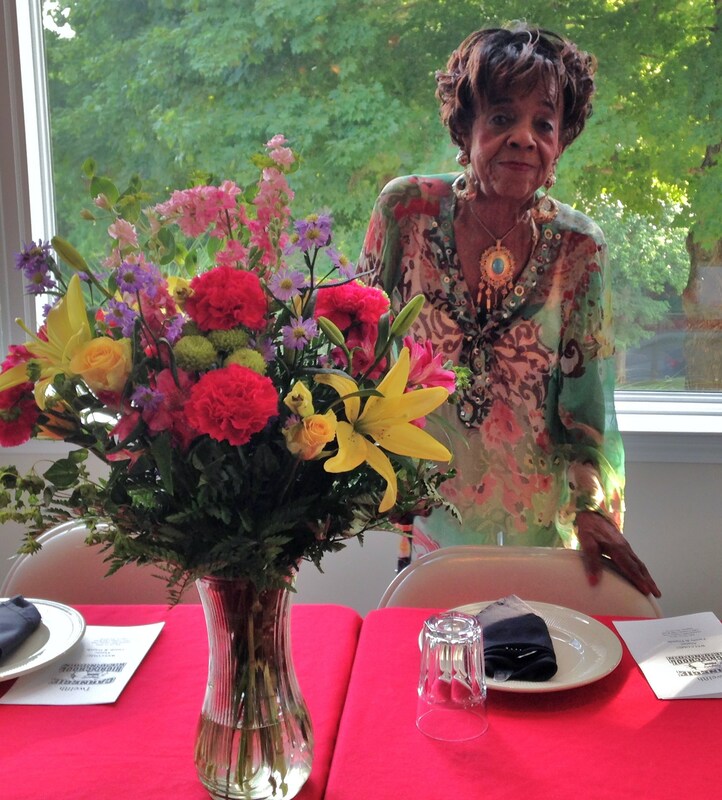 Ms. Lawrence would have reached age 100 in November. In my hometown of Marion, Virginia, for southwest Virginia and beyond, she has become an icon, a celebrity, a historical figure, and for many of us, a National Treasure. The majority of us still living, who attended Carnegie Elementary/High School, were blessed to have Ms. Lawrence as our first and second grade teacher. Her formal teaching covered nearly 40 years in the classroom. But her classroom was not limited to a school building. Everywhere she was, she was teaching something about life, respect, personal accountability, and dignity to others. When she retired from formal teaching, she hit a higher gear and became an important historian of the Black community and school, a community advocate for education, and staunch supporter for many social and educational causes. We all stand together in honor of her extraordinary life and service. We are united in our belief there could be no finer teacher of life and a teacher for a lifetime. The accumulation of her life’s work without doubt will continued to be honored in many shapes and forms as time passes. A very comprehensive study titled “A Portraiture of Evelyn Thompson Lawrence” by Donna Reneé Clifton, a graduate student from East Tennessee State University, documents Ms. Lawrence’s life from start to finish. It is a “must read”. You will learn so much about her life during segregation and post segregation in a very special community. You will come to know and understand the more subtle and not so subtle educational challenges and struggles faced by a community trying to balance love and respect/prejudice and hatred. Ms. Lawrence will teach you well. Also, last week we observed the second full year without our Mom. It is an old cliché but truthful nevertheless, that time moves on with or without you and that memories really can be precious. It still feels like yesterday when we agonized over the Seattle Mariners losing ballgames, Gordon and Earnhardt not winning races, and the troubles of Tiger Woods. We still miss her at the dinner table when we have our annual seafood feast. It is now an annual memorial dinner in memory of our mother and brother, John. We delight in preparing and serving Maryland crab, oysters, cod and other variety of fish to special guests we know fully enjoy such a feast. A feast Mom certainly enjoyed. There are still thankfully, those little things we say and do almost daily which keep her memory fresh. Just late last week my sister told me that Mom’s dishes had been found in her garage. These dishes were the center of many discussions with Mom. These dishes were very special to her and we had been in charge of taking care of them. Not knowing their whereabouts was a problem. Therefore, it was a dreaded subject and we would break out in a cold sweat whenever Mom asked if the dishes had been located. Well, after two years, we are resting more peacefully now that we have eyes on these special dishes. Is it a coincidence they were found at this time when we recognize Mom’s “Going Home” day? Mom, for the record, Patty lost those dishes…not me! I am certain Mom is pleased with the work we are doing with the Anne G. Broady Scholarship Fund. I am sure her pleasure would be doubled knowing Dr. Lin Church is a significant part of its success. She would be very grateful for your generosity while still wondering how did this all come to be. It was her life and her generosity that has inspired us to pass on the wonderful gift of giving. Paying it forward or “livin the givin” impacts lives in ways we can not measure. I wish Mom and those kids at the Learning Center could have experienced this project together. In closing, it is clear that we had the best Mom there could be. It is also clear that we had the best teacher with Ms. Lawrence to get us started on our educational journey. 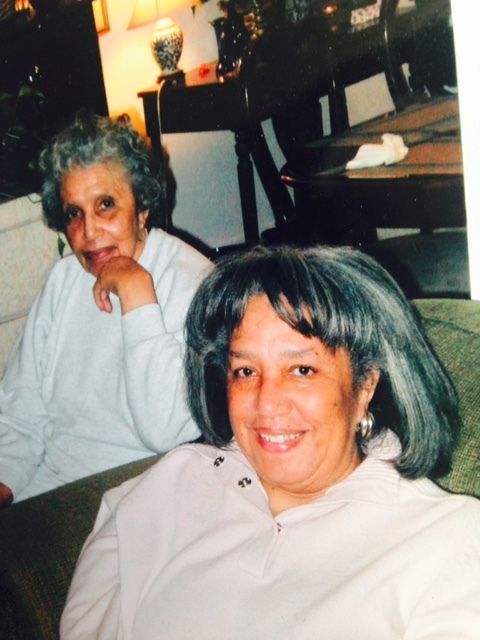 Both women had a great passion for life and for serving others. They were not alone. Many of my aunts also served in the field of education and shared the same passion and dedication Ms. Lawrence demonstrated. There is no wondering why I have a deep appreciation for those who teach and believe education can change lives. And, there is no wondering why “Friends of Copey” is important. Certainly, you are hearing the news about the numerous wildfires here in Washington state and elsewhere in the west. According to the news this morning, it appears the region I live in is among the few remaining sections of Washington state without wildfires raging. I estimate we are about 100 miles away from the nearest wildfire. That is the good news. However, it has been very smoky over the past several days. The smoke hanging overhead has not been pleasant with some folks even claiming that some very small particles similar to dust have been falling from the sky. The air smells of smoke and the direction of the wind mostly determines how bad the smell is. Locally, we have the potential for wildfires (mostly grass fires) in our area but it is doubtful there would be anything as devastating as what we are seeing elsewhere in the state. Wildfires have burned over half a million acres in Washington state. With about 17 wildfires being attended to, the professional firefighting crews are wearing thin and wearing out. Now, about 700 members of the state’s National Guard along with over 200 active duty military personnel have been called out to assist. Even qualified citizen volunteers are being requested who have some firefighting training/experience and appropriate equipment available to use. All of these added measures serve to underscore the current and potential danger these fires pose for our state. We all pray for those who are dealing with both loss of property and the loss of lives during this ordeal. Keep those in harm’s way in your prayers and thoughts. Angela is back at the wheel at the Learning Center. She has returned from her brief stint in the USA doing work on her Masters and we all welcome her back. She is excited to be back and ready to implement many of the new ideas she obtained during her time away. She has already begun to send me new pictures of students busy at work and you and I can look forward to many more over the next few weeks and months. We will provide her some time to get back into the swing of things before we lean on her for lots of news. She is currently short one volunteer who had to return briefly to the states for personal reasons. This staff shortage causes her to do double and triple duty for a short time. Before Angela departed for the states, we were in the process of working with Angela in obtaining a much-needed camera for the Learning Center. We have some funds in hand now plus additional funds committed to be donated to assist the Learning Center’s purchase of a quality camera for their use. We will get moving on this again and hopefully in the next week or two, this transaction will be completed. Meanwhile, let us just enjoy some of the photos Angela has shared with us today. It will keep us mindful of our purpose for being involved and supportive of the Learning Center and its Mission. By the way, the opening quote for this Post calls us to become a “Possibilitarian”. The idea that we can believe in something and expect things to work out is part of what “Friends of Copey” is built on. We (hopefully most of us) are “Possibilitarians”. It is even biblical…Matthew 19:24-26. Believing in the possibility has brought us a long way. There is still no news from Copey due to Angela being in the USA on business. As I promised last week, I will use this opportunity again to share a few photos as we look back at the journey “Friends of Copey” has been on. I received a few positive comments from “Friends” last week. Thanks! Many of you have seen the note Eve Solomon sent to us back in January regarding the importance and impact our support, especially the scholarship support, has had on the students at the Learning Center. There are about 16 students being supported at this time. The note is one I cherish and hope all of the “Friends of Copey” will take to heart. It provides such clear evidence that what we do truly makes a difference. It is awesome to just ponder how a small project like this can impact lives in a small remote community. “Hearts of Servants” as you know is one of my favorite terms.There is much that can be said biblically about a “servant’s heart” but I am too ill-equipped to start with a sermon. But, it is interesting that it was asked by Jesus…”For who is greater, the one who is seated at the table being served by the servants, or the one who serves? Jesus answered indicating the one who serves is greater. Luke 22:27. I thank you for your willingness to serve. By now you know that I strongly believe in prayer and that our first order of business with this project is to pray. Those among us who share this belief are asked to be in constant prayer for this project to be all it can be for the Copey community. We also believe there are those who are strong advocates of “positive thinking”. People who see the glass half full and not half empty. Those who related to President Kennedy’s timeless words…“not ask what can my country do for me…but what can I do for my country?”. The can do/will do attitude has taken us a long way in this project. I highly regard the quote from John Wooden…”Do not let what you cannot do interfere with what you can do”. There are many examples of this but the most astounding example pertains to Eve Solomon’s decision to introduce Learning Center young girls to the ballet. The decision had amazing results and ended up with her ballet students on the big stage in San Jose performing with others in The Nutcracker. 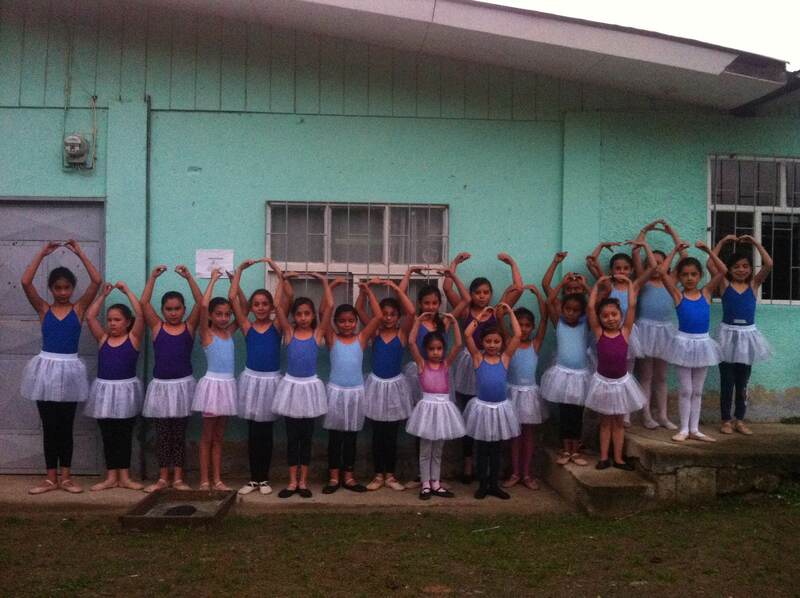 I have tears of joy when I consider how the decision to start the ballet lessons eventually ended so successfully and impacting young girls, their parents, and the community of Copey. There is no price one can place on the life long memories these young performers now have because one person focused on what she could do…not letting what she could not do interfere. Over the year and a half while “Friends of Copey” has been active with the help of this Blog, I have had many moments of joy. The record of accomplishments is large and serves to inspire us to keep looking for opportunities to encourage and support the educational efforts being made in Copey. I ask you to continue doing something…praying, offering your positive encouragement, and looking at ways to do what you can and not worry about what you can not do. For certain there are times when disappointment comes banging on my door. I get a little frustrated when progress seems too slow and/or my expectations seem out of sync with reality. I know and understand that some people have only a short-term interest or no interest at all in this project. This is a very different kind of project and the approach is unique. This project does not require hours and hours of service and labor, it does not demand large amounts of money, and rocket scientists are not needed to make a difference in a child’s life. There has been many lost “Friends” who have moved on and “failed to launch” initiatives over the life of this project. The list of failures is about as long as the list of accomplishments and this brings us back to the glass half full/half empty theory. We decide the glass is half full because the real beauty or magic of this project is that a new opportunity always comes knocking, a new person with interest shows up, and the hopes for new accomplishments emerge. I value all of you who check in occasionally, respond to a Post, help with initiatives, get out your checkbook, pray, and believe in the positive. You are keeping this project moving forward. You are the reason for the motto for this project…”When many (of you) do (even) just a little…a lot will get done for kids”. There is little news coming from the Learning Center at this time. 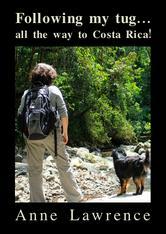 Angela is in the US going through some educational programs and will be returning to Costa Rica later this month. Therefore, the weekly updates on the status of things will be postponed until she returns. 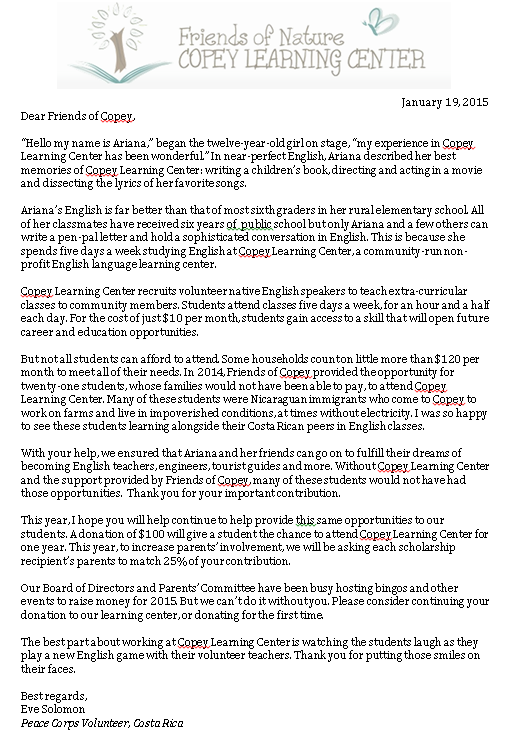 If I do happen to get some information from Copey and or the Learning Center, a special Post edition will be provided. 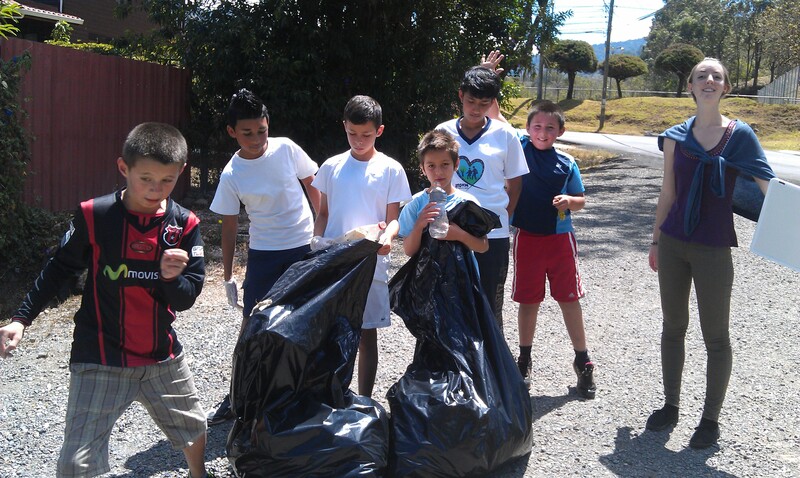 Until more news is available, I thought I would take advantage of the opportunity to share with you some of my favorite photos of the Learning Center, staff, students, and the country of Costa Rica. Some are first time photos, others may have been provided before in one of the 88 Posts issued to date. Students saying “Thank You” for the AGB Scholarship help provided. We are both blessed and privileged to have generous donors who help make it possible for many of these local kids to go to the Learning Center to improve their “English” skills while learning many other important things. 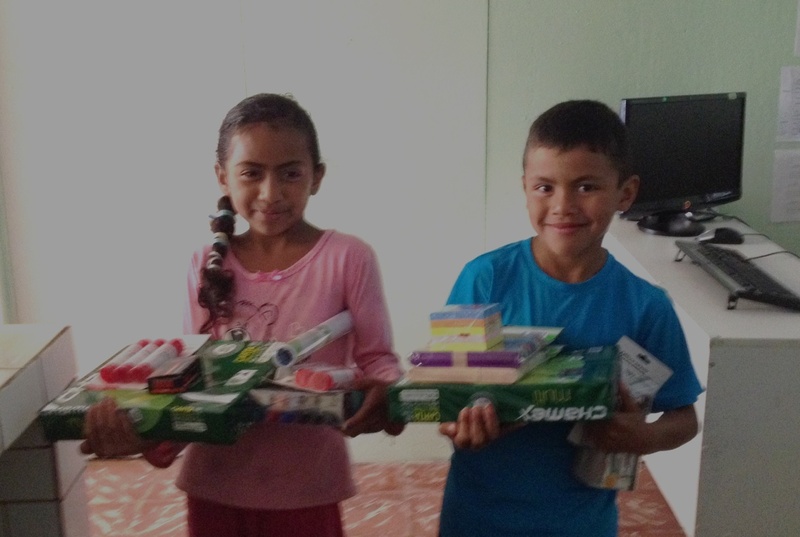 The scholarship funds help provide new school supplies for the recipients as well as offset other expenses associated with operating the Learning Center. Students competed last year in the “Spelling Bee” that is held throughout the country each year. 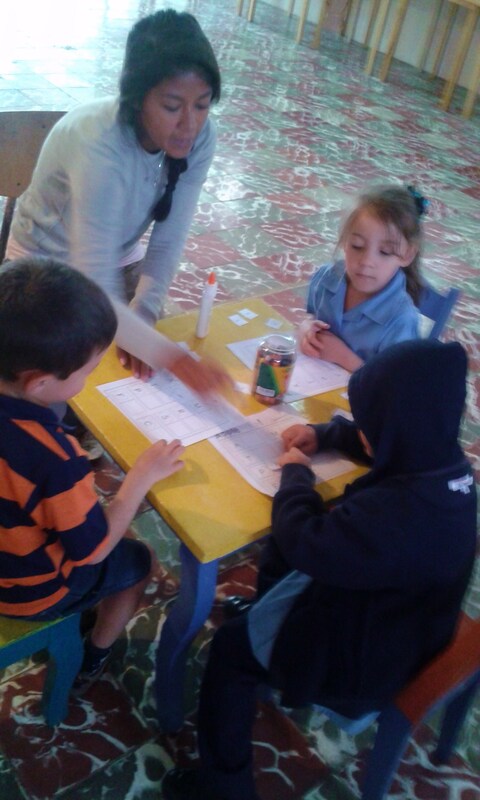 The Learning Center works hard to prepare the students to spell English words used in the competition. Several Learning Center students made it to the quarter finals last year and are expected to do even better this year. 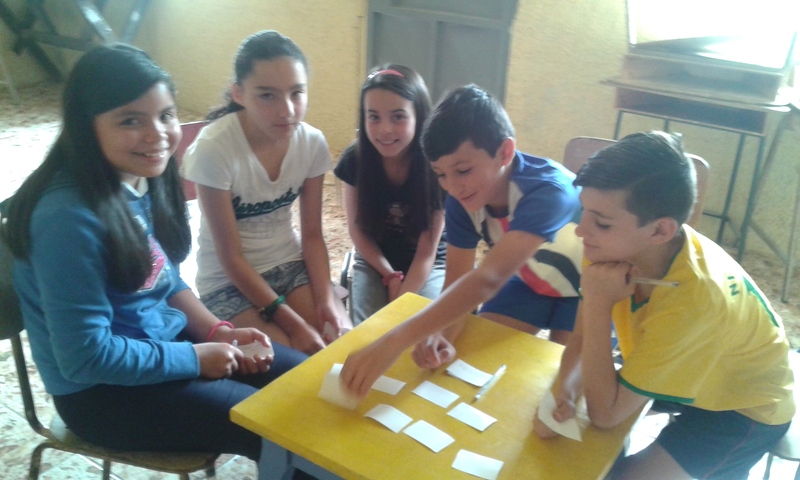 The competition is very tough as the students must compete with more urban students from larger communities where English is more widely spoken and much more familiar to the students. In Copey, this is not the case. In many of the homes, English is not spoken at all and the only significant opportunity the students have to learn read, write, and speak English is at the Learning Center. Another favorite photo is showing Hailey Tibbett saying goodbye to her Learning Center students. I remind you that Hailey volunteered from my community to go to Copey in 2013 to work in the Learning Center. After earning her BA Degree in Education in late 2012, she wanted the unique experience of going to a remote location to put her educational skills to work. She considered it part of her continuing education since knowing more about the Hispanic culture and language would be very beneficial as a local school teacher in our community. In her own words, the experience was both amazing and life changing. This photo means a great deal to her and to me. 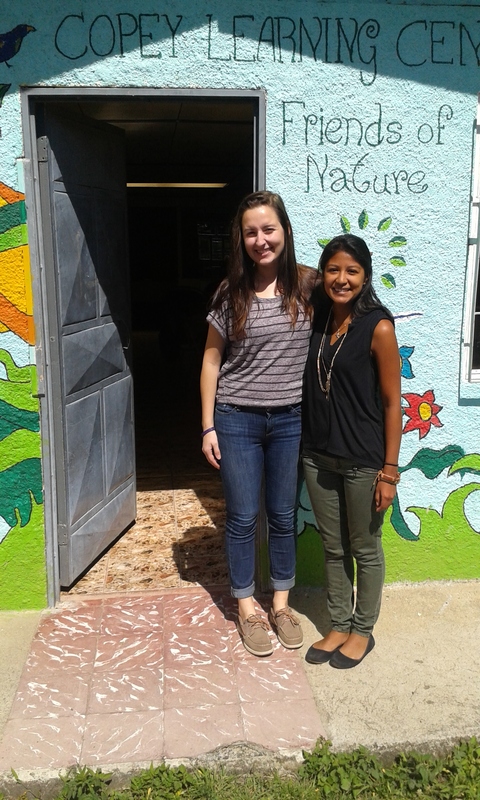 In our January 2014 Post, Hailey was featured and honored as our “Key Friend” (of Copey) for the extraordinary display of a “heart of a servant” by willingly going as a volunteer (her own expense) to a foreign and remote community to share her skills and education as a teacher at the Learning Center. 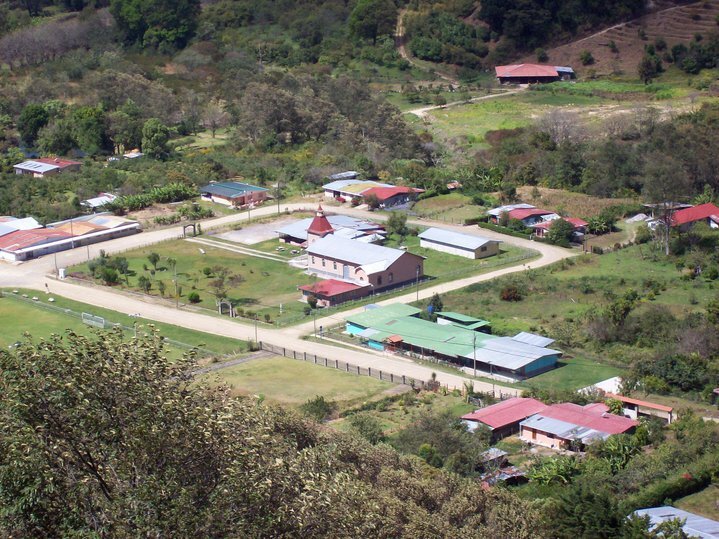 I can never say enough nice things about the people in Costa Rica and especially, the small town of Copey. One feels the hospitality immediately when contact is made with a local resident. 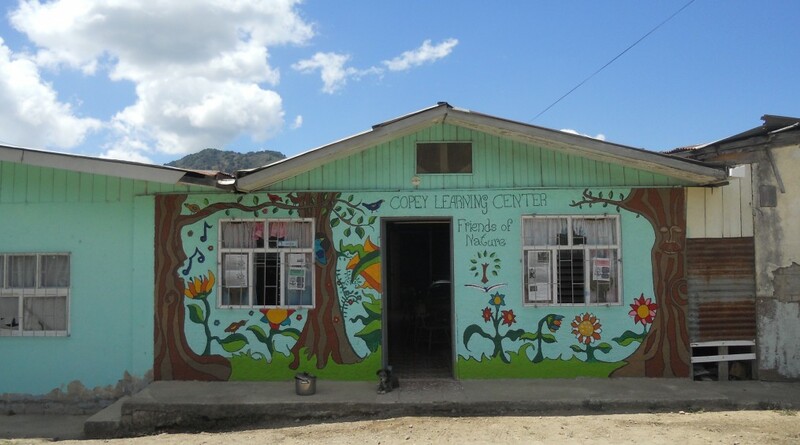 I was assisted during my first visit to Copey by a non-Costa Rican who had recently moved to the area around Copey. Who would have foreseen that it would be a Canadian who would be part of the welcoming committee and key translator? In hindsight, my first visit would likely have been very different without the help of my friend Anne. She made it possible for both Seidy( Learning Center founder) and me to exchange information, thoughts, and ideas. For the next year, it would be Anne that I primarily corresponded with and depended on to reassure Seidy and the community of my interest in helping. By the way, Anne would certainly enjoy you reading her book “Following my tug” which is about her decision to move to Costa Rica and all of the trials and experiences associated with making a life changing decision such as the one she and her husband Kevin made. The book cover has been revised but this is my favorite shot of Anne. Check out her Blog at http://www.hushvalleylodge.com. You will be treated to something very special as she shares her weekly experiences while successfully operating a Bed and Breakfast in such a beautiful and remote location. Now I realize I have not actually shown any “new” photos. Perhaps I will do that next week if I am still without any news updates. But I would be remiss if I did not share this one last photo. 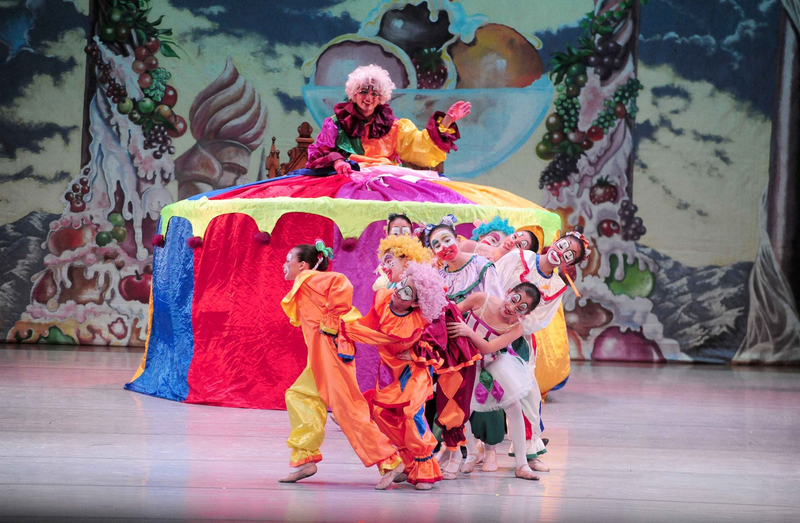 The photo is of the students who ended the year of 2014 in grand and glorious style representing the Learning Center while performing in the production The Nutcracker. Eve Solomon, is credited for doing an outstanding job introducing ballet to eager students. 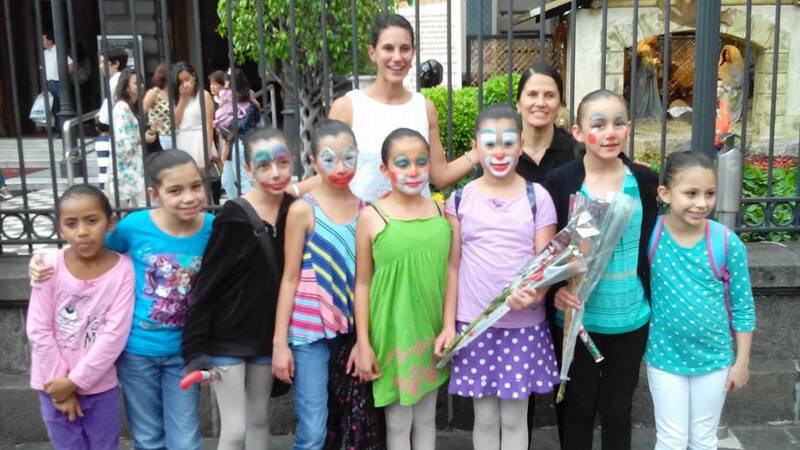 Her successful instruction and encouragement helped prepare and position these students to receive an invitation to perform on the “BIG” stage in San Jose. This was a true highlight in my short affiliation with the Learning Center and I hope all of the “Friends of Copey” recognized and appreciated the importance of this in the lives of these students. THANKS EVE FOR THE MEMORIES! I have many photos and the gallery grows weekly. However, each of these shared today are very rich in meaning and purpose. A casual trip back in the archives of my Posts will remind you of so many wonderful things we have witnessed as “Friends of Copey”. I look forward to hearing about any of your favorites. Use the “Comments” section on the Post or email me at atbroady@aol.com. This is the fifth straight day of temperatures hitting the 100 plus digits. Yesterday, there was a high of 106 and I think today it is 101 so far. Temperatures in the 100’s seem not to be a problem here anymore since we have had so many days of this heat. Sounds strange but maybe we are just adjusting to the heat. We are blessed with low humidity in this part of the country. Hot weather/dry heat is the ticket. I frequently watch the weather report for the east coast and you “Friends” living there all have my sympathy with those high 90’s and the humidity. The wild fires in Washington, Oregon, and California are also a serious and continuous problem and we pray for those who are losing homes and for the safety of those who are on the front lines trying to contain or put out these fires. The weather in Copey this time of year is usually in the 70’s or 80’s and with the daily rainfall, there is very small chance for wildfires. Copey, resides in the mountains and unlike many of the coastal towns, the weather is mostly mild. All my trips have been in the January/February timeframe and always very pleasant weather in the inner regions of the country. As I reflect on my time in the inner regions of Costa Rica, I do not recall any air conditioners being available or in use. However, the heat and humidity is very obvious in the coastal areas. It is very uncomfortable during the January/February timeframe around the oceans. Perhaps, you have noticed in all the photos shown of students at the Learning Center, the students are usually dressed in what appears to be Spring or Summer attire. As I recall there is little need for heavy or winter clothing in the Copey region although evenings are cool. Hopefully, I am correct on most of this as I am going on my past experiences only. 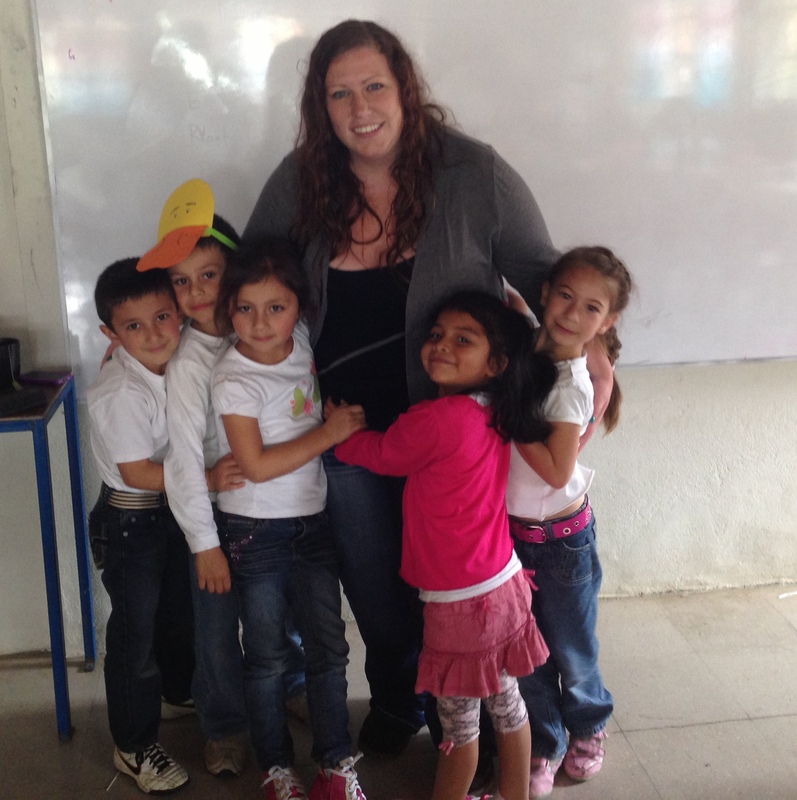 The Learning Center continues to move along and I believe Angela is back in the USA for educational reasons. She reported to me a few weeks ago her need to travel to the USA/Northeast and will visit her parents in Pennsylvania before returning to Copey in late August. She did request assistance in obtaining a camera, preferably a “GoPro” type camera that can be used at the Learning Center. The need for the camera has a higher priority at this time than other items including computers. The Learning Center is developing numerous presentations to be used to inform and gather additional community support for the Learning Center. Quality photos for presentations will be essential to sharing the successful story of the Learning Center. “Friends of Copey” has obtained some funds to send to the Learning Center for the purchase of a quality camera to meet their needs. This is once again, a small but very important and necessary way we can step in and provide support. Thank you “Friends” for helping with the donations and we look forward in a month or so to some very great photos to share. Today was a strange race day. Jeff spent much of the race between 10th and 20th place. During the final several laps he was around 16th position. As the race leaders were making their rounds on the final laps, the leaders started to run out of gas and began stopping or slowing down. Those fortunate to still have gas in their tanks passed the struggling leaders. Jeff was among those with some gas left and he finished in 3rd place. This finish moved him back in the top 10 rankings. I haven’t jumped for joy yet. I should or could but I am still looking for that win that you get by having the pedal to the metal and the rest are behind you giving it all their best. I am still hopeful a win will come soon…! I remain a bit old fashion…or old school I guess. 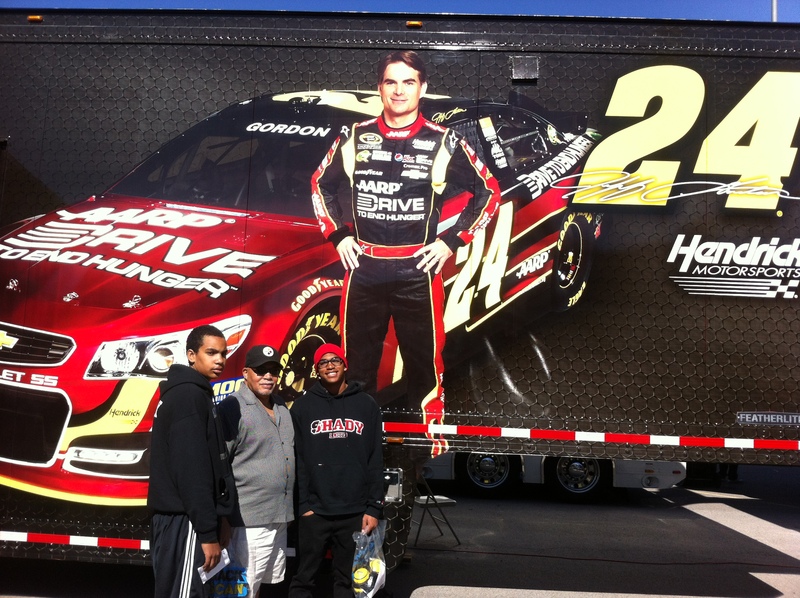 My grandson (Maliek) standing on my left side, departed for the University of Nevada in Reno today. He turned 18 yesterday and is now heading off to college to report for football training. “Friends of Copey” wish him the best!